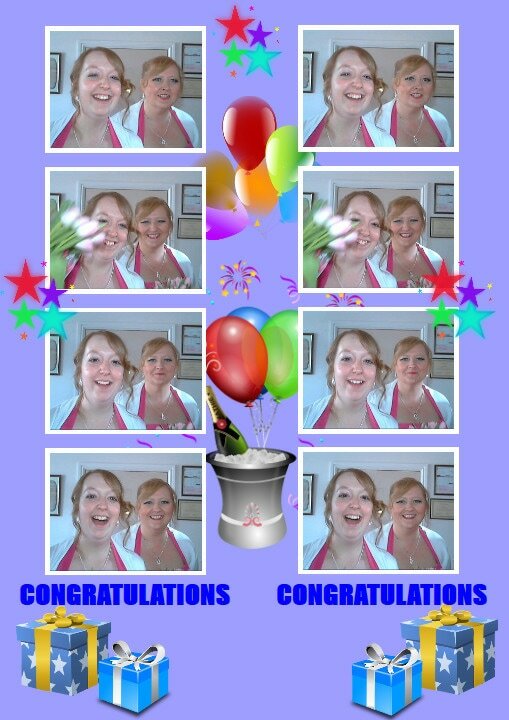 You are planning a photo event using RightBooth and you want to let your users choose from one of three photo print layouts for their photos. Note. This article is based on providing three layouts, but you can actually consider any number up to ten. In the Event flow tab select: first event in all three panels. We will explain why later. Now go into the Screen Editor and design the event screens. In particular, design the Print layout screen with your first print layout in mind. You now need to create two other event files that will contain your other photo print layouts. Ensure the Layout1 file is open in RightBooth. You will now have three photo capture event files that are all identical apart from their photo print layouts. Open each of your three layout event files in turn, play the event and take some photos using each one. The option 'Save the print layout as an image file' (set earlier) will cause image files of the completed print layouts to be saved to your computer. We are going to use these layout images when designing your menu event in Step 4. In the Menu items text box, enter 3. Select the 'Event menu' screen and alter the design and layout to suit your requirements. You can re-arrange the menu items on the screen and change all the wording. Select each of the menu buttons in turn and use the Image button (circled in red above) on the Button properties toolbox to browse and load each of your layout images into the buttons. This will change the buttons so that they are showing your layout images. You can now resize the buttons accordingly. In our example you can see that we've altered one of the buttons to show our first layout image and we've resized it and re-positioned other menu items. ​Now do the same for the other two buttons. When you're happy with your design, make sure you save your menu event file. Congratulations. Your design work is finished ! You can now play the menu event. When the event is playing, users may choose a layout from the menu, then RightBooth will automatically open and play the associated layout event file allowing the user to take four photos and have them printed on their chosen layout. After printing, RightBooth will act on the event flow rule to return to playing the 'first event' again (the menu event) ready for the next user. So: 'first event' refers to the event file you start playing with the Play button on the RightBooth main window. Remember: For the event flow to work correctly in this example, you must always open the menu event file and start it playing with the Play button.